4K Blu-ray discs set for release in 2014 | What Hi-Fi? 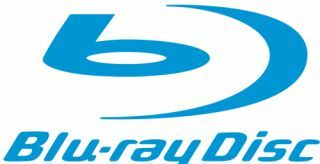 The Blu-ray Disc Association (BDA) has approved plans to release 4K Blu-ray discs. The BDA's global promotions committee chair, Victor Matsuda, confirmed plans for 4K Blu-ray are official, according to The Hollywood Reporter. Last year, we reported that 4K Blu-ray discs could be possible, but at the time the use of the larger capacity discs for 4K films was mere speculation. This latest announcement now confirms the go-ahead for the development of the new 4K disc format. And 4K Ultra HD Blu-ray discs could be in our homes by the end of the year. Representatives from Sony, Dolby and Disney, among others, have put together a working group to work towards making the discs a reality. If 4K Blu-ray discs do become a reality, then dedicated 4K Blu-ray players would need to be produced to play them. At CES 2014, Netflix and YouTube announced plans to stream on-demand and online content in 4K. However, this will require a relatively high-speed internet connection. With 4K Ultra HD technology potentially on course to become the new "high-def" resolution in which we watch films on TV, the issue surrounding how we access 4K content has always been a prominent one. This latest announcement could see optical discs become an option for those wanting to enjoy 4K Ultra HD content.